First stage went well. I was on Portia. 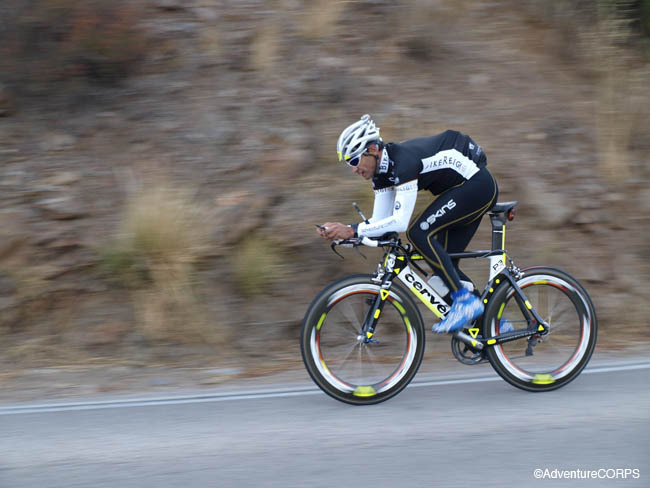 There is a lot of climbing in the first stage (over 3,000 feet in the first 25 miles) but I find I like it on the P3. 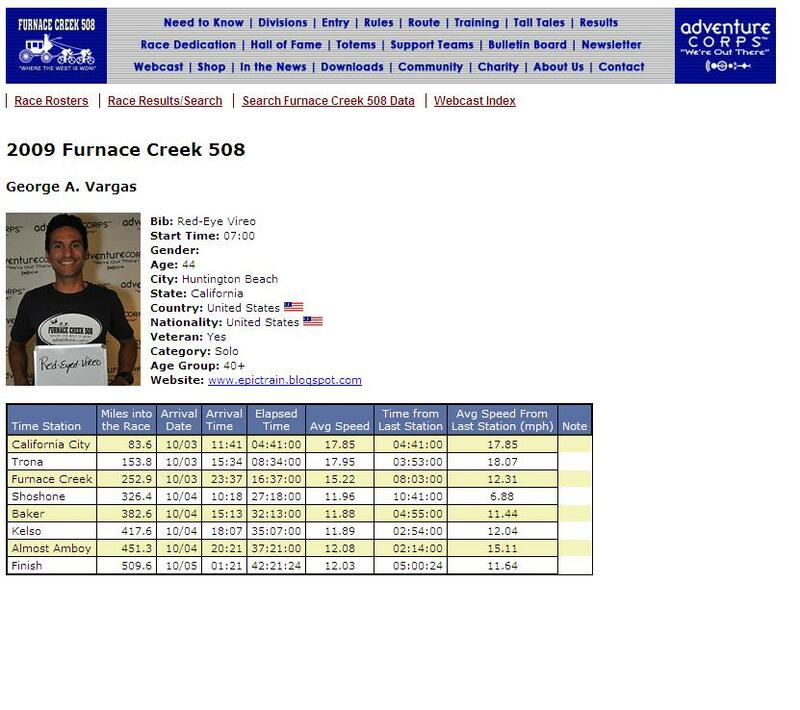 My goal for the stage was to be within 5 minutes of my 2008 PR which was 4 hours and 35 minutes. My legs felt good and rested. I felt fit. It was a good start to a 500 mile race. It was on this stage that I had issues with my nutrition. I was drinking the same thing I usually drink. I just added a little something extra I think that 370 calories an hour was too much. I use CarboPro powder which gives me 224 calories of Maltodextrin without electrolytes, fat, or protein. I then threw in a serving of Fluid, which had 128 calories, some sodium and protein. I think I was taking in too many calories per hour based on my intensity. I eventually got an upset stomach. I spent 15 precious minutes off the bike puking. Brandy and crew were great. I went without calories for a long time. I started feeling better and then gradually started introducing calories again. As time and the miles passed I was back up to full strength in my feedings. I didn’t partake in a burrito from the Trona Time Station like I did last year. I just wasn’t up to it. I really wasn’t hungry either. But Brandy bought a burrito anyway and painstakingly picked all the onions out of the salsa fresca. I get heartburn from onions even when not riding. Thank you babe but I really wasn’t hungry. What I remember the most of this time station was the damn crosswinds. It was so scary doing some of the descents. In hindsight, I probably should have changed my front wheel from a Zipp 808 to a lower profile wheel — which I brought with me for just that reason. So why didn’t I use it? Because part of me loves the risk and the danger of descending at 55+ mph and getting jostled around. I got into to Trona at 1534 or 3:34 for you civilian types;) or 8 hours and 34 minutes total elapsed time. I was only 12 minutes off my Personal Record (PR). I didn’t think the tailwinds were as strong as they were in 2008. Hence, I was quite pleased with my efforts thus far. And if you factor in the 15 minutes I was stopped with a feeling of malaise then I would have been right on track with my PR. But delays and an occasional upset stomach are all part of Ultras. 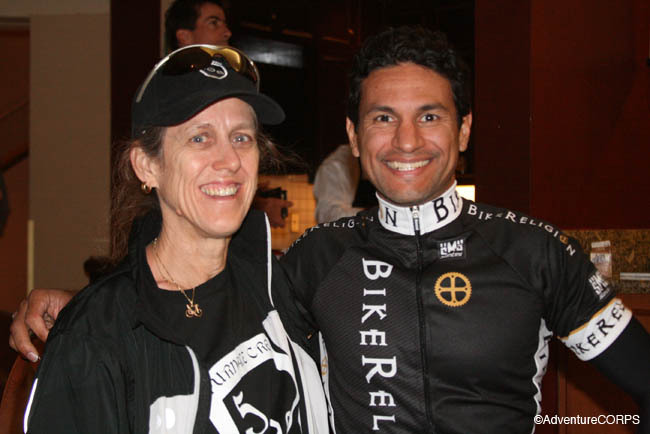 This entry was posted in 2009 furnace creek 508, photos, race reports by REV Cycling Directeur Sportif. Bookmark the permalink.